In 2015, the number of people accessing the internet through mobile devices worldwide surpassed those using desktops. In 2016, two-thirds of all digital media time was spent on mobile devices in the USA. This year, mobile advertising spend is expected to overtake total TV – with TV’s share of ad spend expected to drop by a third by 2020. Global smartphone ownership and internet usage continues to climb, especially in emerging and developing nations, and now in 2017 mobile ad spend is likely to see a 31.9% increase from 2016. Facebook and Google represent the giants of all things mobile and social – nearly 60% of Google’s ad revenues came from mobile ads this year, while Facebook’s mobile ad revenue represented 82% of all ad revenue in Q1 2016. Firms small and large should not underestimate the impact that creative mobile marketing will have on their business. Mobile’s ability to assist customers with real-world interactions and transactions is already a reality, but usage of the technology looks set to expand. Beacons and other location-based technologies are likely to be further implemented in stores and malls throughout the world this year to provide consumers with enhanced in store shopping experiences. Mobile is essentially becoming an extension of a retailer’s storefront, and smart marketing tactics using location allow brands to send tailored, personalised messages to the consumer, right in the moment when they’re making purchase decisions. Take Starbucks as an example: the “Mobile Order and Pay” feature on its app uses a customer’s proximity to an outlet to notify that customer to order ahead before stopping in. By combining the power of mobile and location services, Starbucks is saving customers time and enhancing brand loyalty. After the incredible success of Pokemon Go, augmented reality (AR) definitely isn’t something to be ignored in 2017. AR technology is gaining in popularity, and by 2021 is expected to be a $5.7 billion industry. Some social media platforms, like Snapchat, have shown how brands can effectively capture attention and monetise augmented reality experiences. 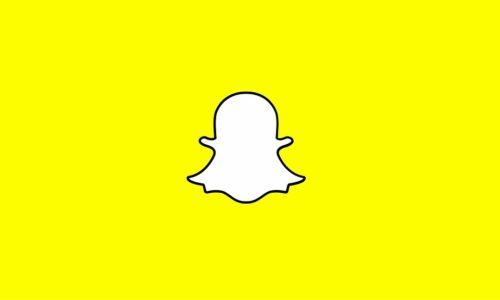 Snapchat’s Augmented Reality lenses have proved to be a popular tool amongst both users and brands. 20th Century Fox first used sponsored lenses as a marketing tool to promote The Peanuts Movie, and other film studios, including Sony Pictures, Universal Studios and Pixar, have all purchased AR ad space to promote their films. Beauty brands, such as L’Oréal, Urban Decay and Benefit Cosmetics, have also produced campaigns that applied makeup filters to customer selfies. Apps account for the clear majority of all mobile usage – greater than 85% of all mobile usage is on apps as compared to the mobile web. App usage remains highly concentrated though, with the “top five” apps accounting for 80% of usage time. Plus, most apps are downloaded very infrequently – and used even less. Most brands have therefore found it challenging to justify the money spent on app development, which is why last year Google announced Instant Apps. These are apps that launch immediately when clicked, with no need to download from an app store. Brands can now create one-time, single-use apps that consumers can use easily and effectively. Video represented 69% of all consumer-based internet traffic this year and this is expected to rise to 80% by 2019. In general, social media users prefer digestible video content over text: Facebook’s daily video views jumped from 1 billion to 8 billion in 2016 with 500 million people watching videos every day. Not surprisingly, ad expenditure on mobile video is expected to grow more than 30% in 2017. Look out for live video streaming to be the next logical step in the user acquisition evolution, as social media users will only continue to expect more “on-demand” and “live feed” interactions with their preferred brands. We can also expect to see more innovation in immersive 360 video experiences across YouTube and Facebook apps, as well as video embedded directly into email. People currently use messaging applications more than they do any other social media apps. It’s not surprising therefore that messaging apps are evolving into engaging marketing and e-commerce platforms. Facebook Messenger, Telegram and WeChat, some of the largest, have already released bots and are partnering with major brands to create life-like customer interactions. This is the beginning of a new one-to-one conversational age of personalised marketing. Brands no longer need to shout their product pitches to the masses hoping to perhaps reach a few interested listeners, and consumers will no longer be blasted by millions of ads irrelevant to their location, situation or needs. Through messaging apps, brands will be able to reach their customers on a one-to-one level via a channel that allows for engaging conversations, deep learning, and extreme targeting. Marketers should look to jump on as quickly as possible, as migrating onto messaging platforms is likely to have a long-lasting impact on mobile.